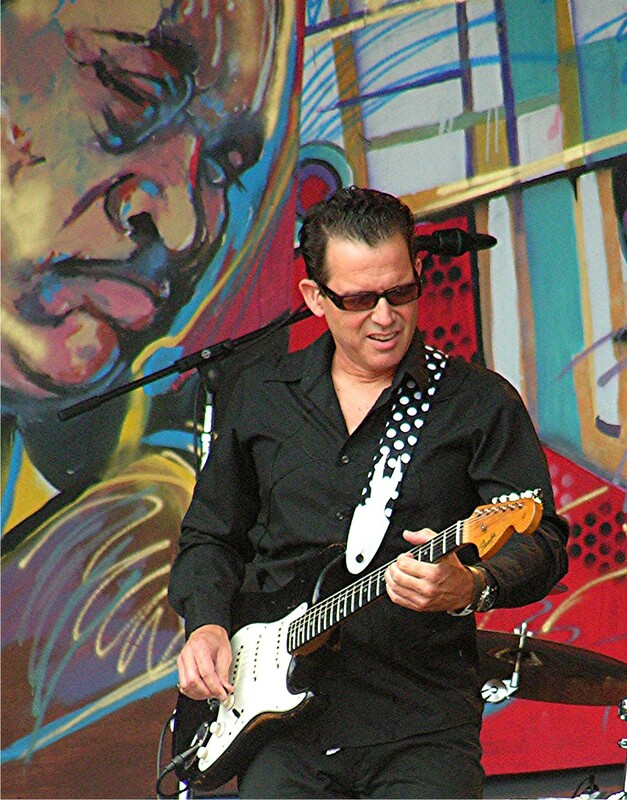 Liam Mulligan, the main character in my crime novel, Rogue Island, loves the blues. He spends a lot of time grooving to it while prowling around Providence in his beat-up Ford Bronco. Today, Tommy Castro got in touch to say he thought this was “so cool!” He plans to download the novel to his Nook so he can read it on the road. Ten years ago, on a visit to Chicago, my wife Patricia and I decided to go on a blues crawl. We flipped through the Chicago Reader to see who was headlining at Legends, the club Buddy Guy owns. It was some group called The Tommy Castro Band. We’d never heard of them. Would they be worth listening to? The place was packed, and we got the feeling that the crowd knew something we didn’t. Tommy strutted onto the stage in tight black leather pants, opened with “Lucky In Love,” and had us for life by the second verse. Since then, we’ve become groupies, catching the band whenever we could – celebrating Patricia’s 50th birthday at the Monterey Blues Festival in California, picking at the overpriced eats at the BB King Blues Club on 42nd Street in Manhattan, jamming to Tommy and Buddy and BB at the Foxwoods Resort Casino in Connecticut. Most times, our little girl Mikaila came along. She was usually the only child in the audience, so the band couldn’t help but notice her. During intermissions, they’d make a point of coming over to chat with her. Once, when she was six, she told Tommy that her favorite song was his soulful ballad, “Just a Man.” Tommy grinned and gave her an autographed photo of himself. So Mikaila drew a self-portrait on a sheet of paper, autographed it, and presented it to him. As it happened, “Just a Man” wasn’t on the band’s playlist that night. But after intermission, Tommy came out, told the audience that it was Mikaila’s favorite song, stood on the edge of the stage, and sang it to her. 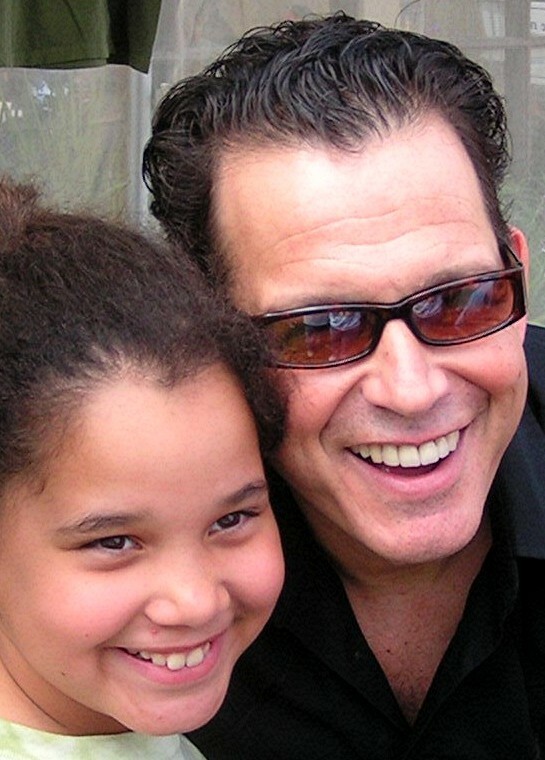 Over the years, Tommy and the band watched Mikaila grow up. She came to think of them as friends. One night, when she was twelve years old, she couldn’t understand why they didn’t come out to see her during intermission at BB King’s. So she tried to push her way past a bouncer guarding the dressing room door. “Where do you think you’re going?” the bouncer said. She put her hands on her hips and glared. Tommy bounded out and swept her up in a hug. “I’m so sorry,” he said. “I didn’t know you were here. I couldn’t see past the stage lights.” And he gave her a guitar pick as a souvenir. Mikaila is 15 years old now. The last time we saw Tommy, he told us he still had that picture she’d drawn for him. So when I was writing the novel, it seemed natural to make the Tommy Castro Band Mulligan’s favorite. After all, he’s mine, too. 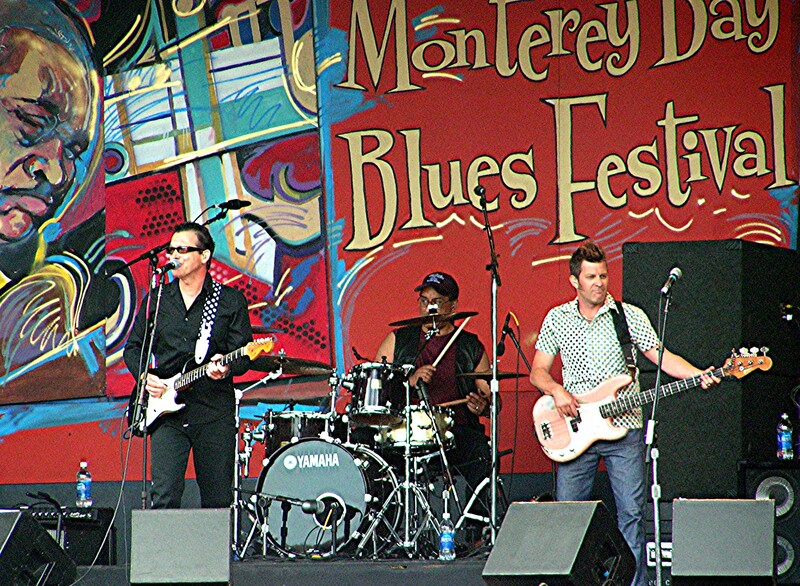 If you haven’t heard the Tommy Castro Band live, do yourself a favor and check the tour schedule. This entry was posted in Uncategorized and tagged bb king, blues, Bruce DeSilva, buddy guy, crime fiction, crime novels, mysteries, Providence, Rhode Island, Rogue Island, thrillers, tommy castro, tommy castro band. Bookmark the permalink. Have you been on the Legendary Rhythm and Blues Cruise? I can’t tell you how great it is; you have to experience it for yourself. Over the years, we’ve partied with just about every blues legend out there, a bunch of fabulous newcomers and everyone in between. Best of all, Tommy is always on the boat. http://www.bluescruise.com.